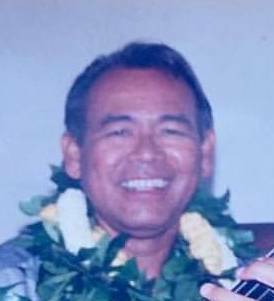 Edward Yerick Fon Yuen Lee, 78 of Wahiawā, passed away on March 13, 2019 in Wahiawā. He was born in Honolulu, Hawai‘i. He is survived by his spouse Ramona C. Lee; son Edward K. Lee; daughter Misty K. (Ferdinand) Navarro; 5 grandchildren; 1 great grandson. Visitation will be 5:00 pm Saturday May 4, 2019 at Mililani Memorial Park & Mortuary’s Makai Chapel. Memorial service to follow at 6:30 pm. Ed was a fighter crew chief and member of the HANG Ohana musical group. Retiree News extends heartfelt sympathy to Ed’s family and friends. Thanks to Gordon Lau for sending Retiree News this information.